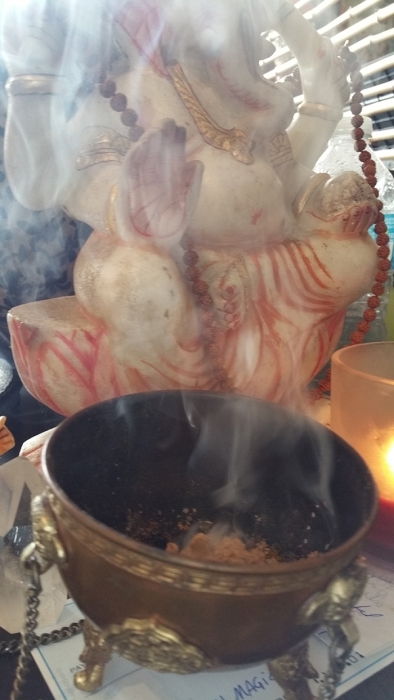 GANESH MAGICAL INCENSE is lit for the elephant-headed god of prosperity who removes obstacles and blesses new beginnings. 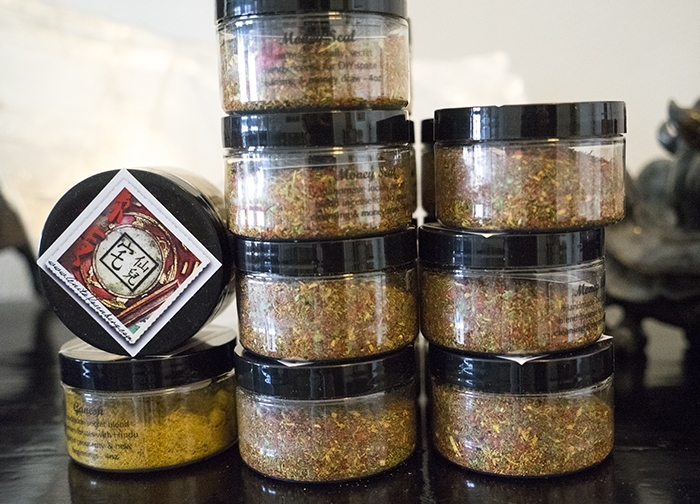 His essence is sandalwood because that's his thing. His color is yellow which is why some folks like to honor his altar with yellow flowers for extra mojo. 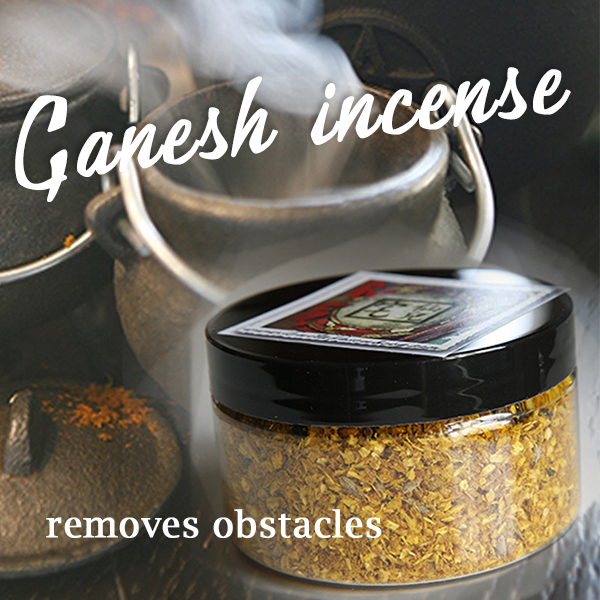 Light this secret blend Ganesh sandalwood incense to activate your Ganesh shrine and think thoughts of abundance. 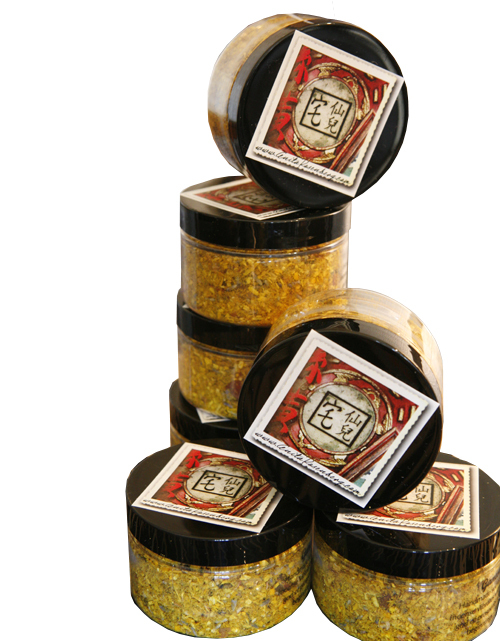 This go-to incense does it all! 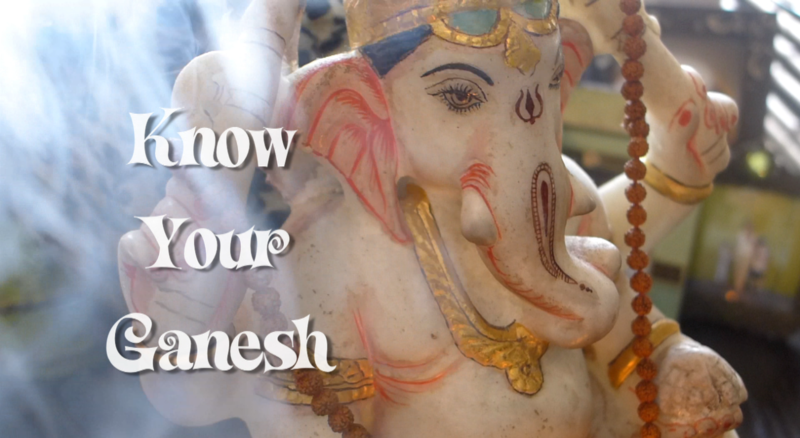 Throughout India, they start each day by activating their Ganesh Shrine. To create a Ganesh shrine at your desk or spiritual space light incense, magical candle, with Ganesh statue as a focal point.